Hakone is one of the most popular hot-spring (Onsen) resort areas in Japan. museums, golf courses, hiking courses, and more.. and it is so accessible from any point in Tokyo. 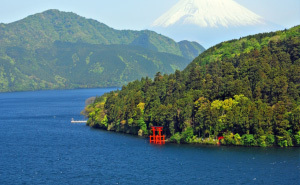 So, if you begin your trip in Tokyo, be sure to include Hakone in your travel itinerary. 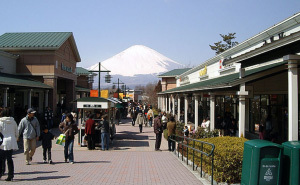 The following web sites introduce a few of Hakone Attractions. We hope you will enjoy your time spent in Hakone. This is Hakone Town Tourist Association's official site introducing accommodations, day hot-spring facilities, and tourist facilities and more! 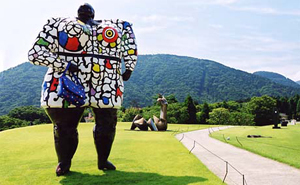 Opened in 1969 as the first open-air art museum in Japan. Constantly changing with the seasons, our spectacular grounds are the permanent home for approximately 120 works by well-known modern and contemporary sculptors. *More information about a bus. The Odawara Hakone Systematized Goodwill Guide Club is a group of volunteer guides. They assist foreign visitors and help them to enjoy their stay while travelling around Odawara and Hakone. Climbing Mt. Fuji is one of the highlights of a trip to Japan. At a height of 3776m above sea level, Mt.Fuji is Japan's highest peak, and the views from the top can be breath-taking. 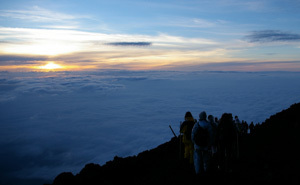 The best time to climb Mt.Fuji is from 1st of July to 31th of August. Of course you can see Mt. Fuji in Hakone. But you have to drive up a little. If you are interested in it, check out Mt. Fuji Viewpoint. © HAKONE SENKEI All Rights Reserved. Promotion by O.H.